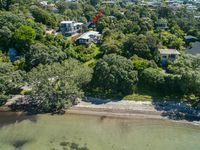 Property 20: andquot;Hinemoa Viewsandquot; Ocean and land views. Property 42: Ruru Lodge, Kotare House. Spacious, modern, light, convenient, fully fitted. 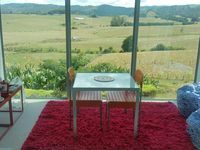 Property 45: Matakana peaceful rustic retreat. Property 46: Joie de Vivre. Stunning and unique. We were so spoiled staying here with the wonderful food provided for breakfast, mueslie, fresh baked sourdough, yummy local yoghurts. Quiet, clean and stylish its a lovely studio. It did get quite warm but the fan provided helped with that. Hostess was warm and welcoming.